Rajasthan GK Question in Hindi Sample Paper 189: Rajasthan General Knowledge Sample Question Paper with Collection 10 Question of Rajasthan GK Questions based on RAS PRE Question Paper 2015 for RAS, Rajasthan Police, REET, SI, Contable, Patwari and other state exams under GK Quiz in Rajasthan GK Sample Papers. You can download Full Rajasthan RAS PRE Question Paper 2015 under STATE PSC Papers Tab of INDIA GK Mobile App with other General Knowledge (GK) and General Studies (GS) Questions from various examinations of Rajasthan Govt. and central Govt Examinations. Q.3511. Which one of the following is NOT correct about Ranchhor bhai rebari ? Q.3512. In which country teachers day is called HARI GURU ? Q.3513. Which of the following is the theme of the world population day 2015 ? Q.3514. The ratio of an external angle and an internal angle of a regular polygon is 1:5. The number of sides in the polygon is ? Q.3515. Identify the instruments which is/are not aerophone ? Q.3516. Choose the correct pair ? Q.3517. In 1920s, with the objective of political awakening who published newspaper “Rajasthan” from beawar ? Q.3518. During the reign of which of the following rular of Delhi-Shivalik pillar inscription was inscribed? Q.3519. The Most important officer after the rular in the kingdoms of medieval rajasthan was known as ? Q.3520. 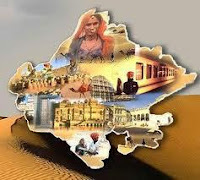 Who was appointed as the Chief Minister of United Rajasthan which was formed on 25th March 1948 ?